The Bender, Robinson Co, Inc. was a Delaware Corporation - sometimes referred to as Bender-Robinson or Bender & Robinson - organized in 1913 to manufacture automobile bodies. The firm was a reorganization of Bender & Robinson, a firm formed sometime around 1890 by John Bender and Andrew Robinson to produce fine carriages. The small factory was located at the corner of North 11th and Roebling Sts., in the Williamsburg section of Brooklyn, New York, near Greenpoint Park, (renamed in 1910 as McCarren Park). Some bespoke work was done by Bender, Robinson Co. for Manhattan automobile importers and retailers and between 1914 and 1917 the firm supplied production bodies for the Singer Motor Co. Inc. whose 630 Jackson Ave., Long Island City, New York manufacturing facility was located less than two miles away from the Bender, Robinson Co. factory. The 1880 US Census lists John Bender (I) as a carriage maker in Flushing, Queens. John Bender (I) was born in 1816 in Wittenberg (misspelled as Witenburgh), Germany. In Germany he married his wife Minnie, and the blessed Union produced two sons, John (II), born in Wittenberg in 1852, and Fredrick born in Wittenberg in 1853. The 1880 US Federal census lists John (II) as a carriage blacksmith and Fredrick as a carriage painter. Other members of the firm included Jacob Miller, a 45-year-old wheelwright, born in Wittenberg; L. Grossman, a 30-year old wheelwright born in Wittenberg; E. Washwell, a 30-year-old wheelwright born in Prussia; John Metzgar, an 18-year-old apprentice born in New York; John Donohoue, a 14-year old apprentice born in New York; T. Garowelly, a 30-year-old horse-shoer born in Ireland; and Sawler Bender <b.1866>, the 14-year-old daughter of ??? Bender, who was employed as a servant and born in New York. In the early 1890s Bender decided to relocate his carriage business closer to lower Manhattan, and entered into a partnership with a Brooklyn carriage builder and blacksmith named Andrew Robinson. The pair established their business at the corner of North 11th and Roebling Sts., Brooklyn in the style of Bender, Robinson Co.
91-93 North Seventh St. was also located within a half-mile of the new Bender, Robinson factory and as was the custom at the time, both proprietors (and a majority of their employees) now lived within walking distance of their business. During the first part of the twentieth century, John Bender (II)’s three sons; Herman (1883-1964), John (III)(1887-1967) and Joseph (1890-1967), began working for their father at his Brooklyn carriage shop. The three Bender brothers joined Andrew Robinson’s son, Andrew Jr., who was already working for the firm when Herman, the eldest Bender started his apprenticeship. 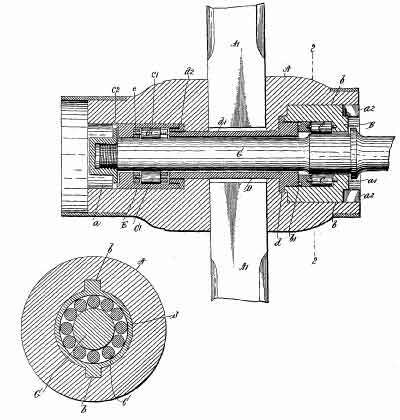 On Mar 9, 1898, Andrew Robinson Jr., had filed a patent application for a carriage axle box: US Pat. #620673. The four apprentices started off working on carriages and were first-hand witnesses to the firm’s transition from manufacturing carriages to automobiles. Bender, Robinson Co. enjoyed a good reputation amongst New York City’s early automobile importers and produced a number of automobile bodies for Manhattan’s best-known independent automobile body designer, Karl H. Martin. That well-earned reputation led them to enter into a contract to supply production automobile bodies for the recently-organized Singer Motor Co. in late 1913. To gain much needed capital for the new contract, the firm was incorporated in the state of Delaware as Bender, Robinson Co. on November 13, 1913. Their listing in the 1916 Manhattan directory reveals they had relocated to 355 West Fifty-Second Street, Manhattan. "In the Singer space a striking car is appointed white sedan with sloping front windows and adjustable seats. The arrangement is for a plate glass roof with curtains to protect from the sun. The seats are upholstered in a rich nut brown velvety material. The woodwork is inlaid with mother of pearl. 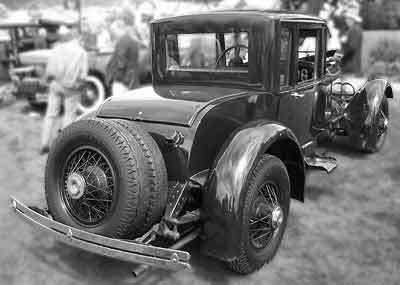 The body is by Bender, Robinson & Co."
“This year the Astor Salon is not an importers' salon as there are only five foreign chassis on the floor, and these are not of design new to the American public, Peugeot, Rolls- Royce, Lancia and the Delaunay-Belleville. “The American cars on the floor are the Singer, White, Daniels, F. R. P., Simplex-Crane, Brewster-Knight and Owen Magnetic. In addition to these there is another foreign car on the floor, the English Daimler, which exhibits a town body by Henry Labourdette of Paris. 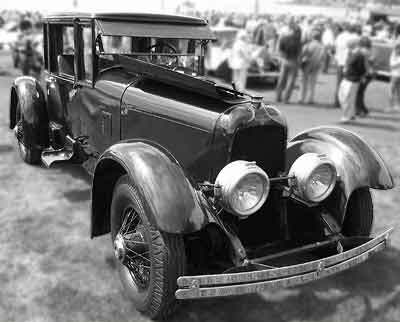 The Holbrook company, body maker of New York City, is showing a Cadillac eight chassis fitted with a Berline design, a Packard with a landaulet and a White with a landaulet body. 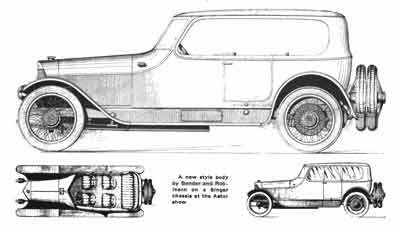 Healy has several bodies on Locomobile chassis and Bender & Robinson are showing two special bodies on Singer chassis. 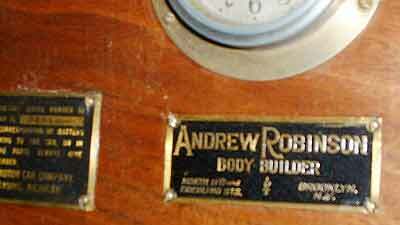 The regular Singer bodies are also manufactured by Bender & Robinson. “Ingenious methods for concealing the extra seats in the seven-passenger touring design are shown in the Singer bodies. These slide into the front of the compartment folding into the back of the front seats and being covered by a shutter. Folding arrangements for seats and body parts are carried out with a neatness which hardly permits of detection of the folding parts. In all of the work at the Salon, the Bender & Robinson special roadster with folding rear deck is a good example of the thoroughness in this work. When the rear compartment is folded open an upholstered seat with upholstered arm rests is provided and when closed the flat deck of the roadster conforms exactly with the ordinary lines of a two-passenger car. “Fig. 12 is a V-type windshield Sedan exhibited on the White, it is painted in white and black, and the trimming corresponds; the roof is leather covered and it makes a very neat, compact body that is not too extreme to suit the taste of refined people. There was another V windshield body shown by Holbrook that was larger, and another the Bender & Robinson exhibit on the Singer, this body being very low, as indicated in the drawing. It can be opened (permanent roof fashion) and the roof is entirely of glass, to enable the occupants to get light from above. This job was the most extreme design at the show, it was finished in good taste, both outside and in, and the right balance altogether gave the body a racy, but not an overdone appearance; for its class it hit the mark and did not shoot beyond. “Fig. 18—Bender and Robinson of advanced streamline form with concealing top and folding rear seat (caption). Charles Singer, Jr. one of the heirs to the Singer Sewing Machine Co., had been general sales manager for the Palmer & Singer Mfg. Co., the predecessor of the Singer, since 1910. When that firm went bankrupt in 1914, Singer purchased the name, patents, goodwill and parts of Palmer & Singer and set up the new business in the former Alco service facility in Long Island City. Unfortunately production of the Singer ceased with America's entry into World War I on April 4, 1917, and shortly thereafter Bender, Robinson Co. was forced into bankruptcy. Historian G.N. Georgano estimates that Singer produced 500-550 automobiles, most of them prior to the start of the World War. After an initial July 22, 1917 hearing, the Federal Court in Manhattan appointed B.B. Lewis trustee for the firm’s receivers on August 3, 1917. Additional motions were heard in the case on November 12, 1917 by Judge Augustus A. Hand and on December 24, 1917 Federal Judge Manton declared the firm insolvent. In 1920 Bender, Robinson Co.’s corporate charter was revoked by State of Delaware for non payment of their annual incorporation fee. After their stunning debut at the 1916 Auto Salon a number of northern Ohio- and Indiana-based automobile manufacturers had approached the Bender, Robinson Co. to see if they were interested in establishing a body plant in their part of the country. At that time, the partners were uninterested, but the when the firm was forced into bankruptcy eighteen months later by the evaporation of Singer body orders, the three Bender Boys started making inquiries. Realizing that their business prospects in the metropolitan New York area were severely limited, the trio eventually entered into a contract with Ohio-based financiers and relocated to their hometown of Cleveland, Ohio in 1919. In late 1919 the Bender Body Co. was organized with at capital stock of $75,000. Incorporators included Herman Bender, Emanuel J. Uhlyarick, Herman Kronenbergeer, John Kern and Peter Boeowski. One Bender, Robinson-bodied car, a 1914 REO runabout (pictured in color to the right), recently owned by Jerry Singer of Cleveland, Georgia, bears a coachbuilder’s plate from Andrew Robinson, Body Builder, N. 11th & Roebling St., Brooklyn. At that time the R.M. Owen Co. was the Manhattan distributor of for Premier and REO automobiles, so it’s likely that Jerry Singer’s REO was bodied by Bender, Robinson. As to why the plate only bears Robinson’s name remains a mystery. The R.M. Owen Co. (Raymond M. Owen and his brother Ralph Owen) were also the manufacturers of the short-lived Owen Magnetic automobile, a car built using the Entz patent electric transmission. Bender, Robinson are thought to have bodied a handful of early bodies for that chassis as well. Early Duesenberg Model As were bodied by the New York distributor who purchased bodies from northeast coachbuilders who included H.H. Babcock, Springfield and Woonsocket. The first production Model A, chassis no. 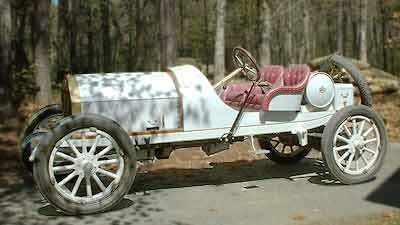 600, survives today bearing an attractive circa 1917 Bender and Robinson opera coupe body. As the Model A debuted in 1921 it remains a mystery as to why an old body was used. Duesenberg historian Randy Ema reports that the vehicle’s serial number, 600, verifies that it is the very first production Duesenberg and states that after being used as a demonstrator it was sold in 1922 to Samuel Northrup Castle, a founder of the Castle and Cook Co., a Hawaiian sugar cooperative. The beauty of that car reveals how far ahead of the curve Bender, Robinson's designs were for that time. “1. Brokers <S=»84(1) — Actions — Burden Of Proof. “In suit for balance of commission for procuring order for automobile bodies, payable upon delivery thereof, it was incumbent upon plaintiff to prove either delivery or that defendant's failure to make delivery was due to its fault. “2. Appeal And Error <J=»880(3) — Objection. "Where a defendant against whom judgment has been rendered is not liable, but makes no separate motion to dismiss, error in rendering judgment against him cannot be urged on appeal by a codefendant. “Appeal from Municipal Court, Borough of Manhattan, Fifth District. “Action by Karl H. Martin against John Bender and another. From a judgment of the Municipal Court for plaintiff, after trial before the court without a jury, defendants appeal. Judgment reversed, and new trial ordered. “Argued November term, 1916, before LEHMAN, WHITAKER, and FINCH, JJ. "John W. Remer, of New York City, for appellants. Joseph M. Williams, of New York City, for respondent. “It is undisputed that the plaintiff procured for the Bender-Robinson Company a sale of four automobile bodies to be built by them, and that the defendant has received a deposit of $1,200, and has paid the plaintiff the sum of $400 upon the acceptance of the deposit, as provided in the contract. The plaintiff has now recovered a judgment for the additional sum of $105 upon each of the four bodies which he "sold" for the defendant, or $420. The contract upon which the plaintiff sues is clear and unambiguous. Under that contract the sum of $105 becomes payable to the plaintiff only upon the "delivery" of the bodies to the purchaser. It is perfectly evident that the defendant agreed to pay the sum of $105 only when delivery was made, and the plaintiff must prove either that delivery was made or that the failure to make delivery is due to the defendant's fault. The plaintiff pleaded that the delivery had not been made, owing to the negligence and default of the defendants, and that as a result the contracts have been canceled. If the evidence supports this allegation, the plaintiff has made out his cause of action. “The evidence, however, is so confused that it is impossible to determine what the facts are. The plaintiff was not, on his direct case, required by the trial justice to prove either delivery or that the non-delivery was due to the defendant's fault. Although this is the only issue in the case, the evidence thereafter was brought out in such jumbled form that it is not intelligible. It appears undisputed that the R.M. Owen Company made this contract for four bodies, and then canceled it almost immediately, because they were not satisfied with the work done by the defendants on previous contracts. Obviously, if the contract was canceled by reason of work done on previous contracts, then the cancellation was, so far as concerns the defendants' rights under this contract, arbitrary, and not due to defendants' fault. If this were the only testimony in the case, of course, judgment should be ordered for the defendant; but there is some evidence that thereafter the Owen Company and the defendants agreed to modify the cancellation, so that it should apply only to two bodies. What occurred thereafter is veiled in darkest mystery. The defendant could not deliver the bodies until the Owen Company delivered to them the chassis upon which the bodies were to be placed. No chassis were delivered and no chassis were demanded by defendants. An officer of the Owen Company, produced as plaintiff's witness, testified that no chassis would have been delivered if demanded because the contract was canceled; on the other hand, the plaintiff testified that the bodies were never ready for the chassis. Whatever may be the real facts, the plaintiff cannot recover until he has proven that the cancellation of the contract or the non-delivery of the chassis was due to defendants' default. “ Defendant also claims that in any event there can be no judgment against John Bender individually. Apparently that is true; but, inasmuch as the defendant Bender made no separate motion to dismiss, the point should not be considered on appeal.